Howdy! I think if I had to create a top 5 list of the most influential media during my formative years, Street Fighter II would be among them. That game instilled a love for martial arts films, competitive video games, and the monk class. The various characters included in the game were always so cool and I always want to find ways to include similar themes of self-perfection and super cool fights into my own writing. Also, the soundtrack is killer! So, this week I’m going to stat up one of the cooler World Warriors, the electricity-creating man from the wild, Blanka! 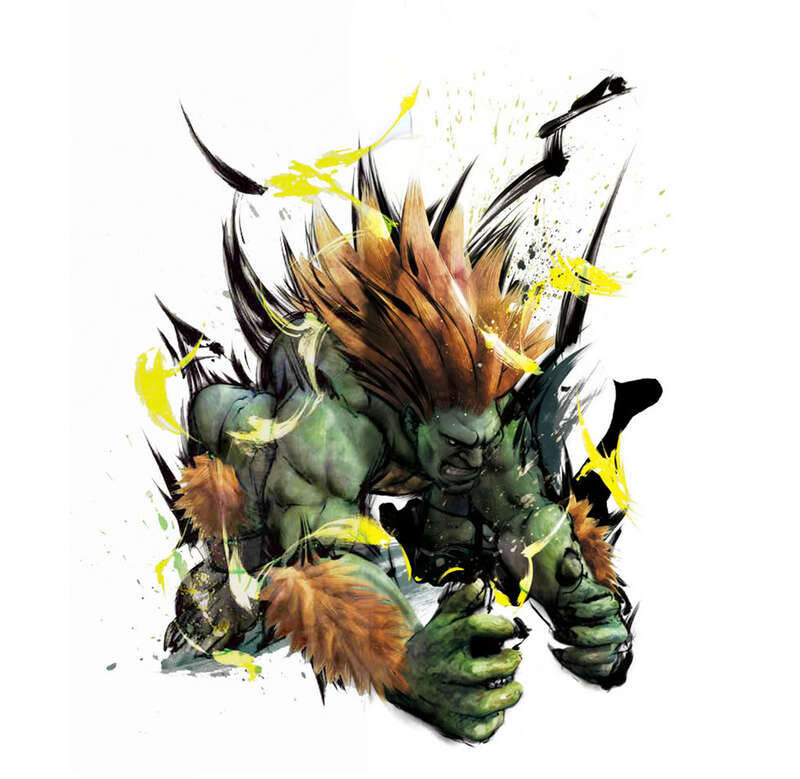 Electric Thunder (Ex) Blanka can emit an aura of electricity as a standard action. This aura remains in effect until the start of Blanka’s next turn. Any creature that ends its turn adjacent to Blanka must succeed at a DC 16 Reflex save or take 2d6 points of electricity damage. A creature that attacks Blanka with a melee natural attack while he is emitting this aura automatically takes this damage. The save DC is Constitution-based. Rolling Attack (Ex) Blanka can curl up into a ball and launch himself at a creature within 15 feet as a full-round action. Blanka flies at the creature and makes a melee touch attack with a +10 bonus. If the attack hits, the creature takes 2d12+6 points of bludgeoning damage. If Blanka attacked a creature in the air with this attack, he ignores the first 10 feet of falling distance when landing on the ground. Blanka was originally a boy named Jimmy that found himself involved in a plane crash in the Amazon rainforest. Jimmy survived the crash and mutated after exposure to a swarm of electric eels. This mutation caused his skin to become green and gave him the amazing ability to generate electricity. After surviving for years on his own, he eventually returned to civilization and learned to speak. He has since reunited with his mother and even entered worldwide fighting tournaments to prove his skill and impress his mother. 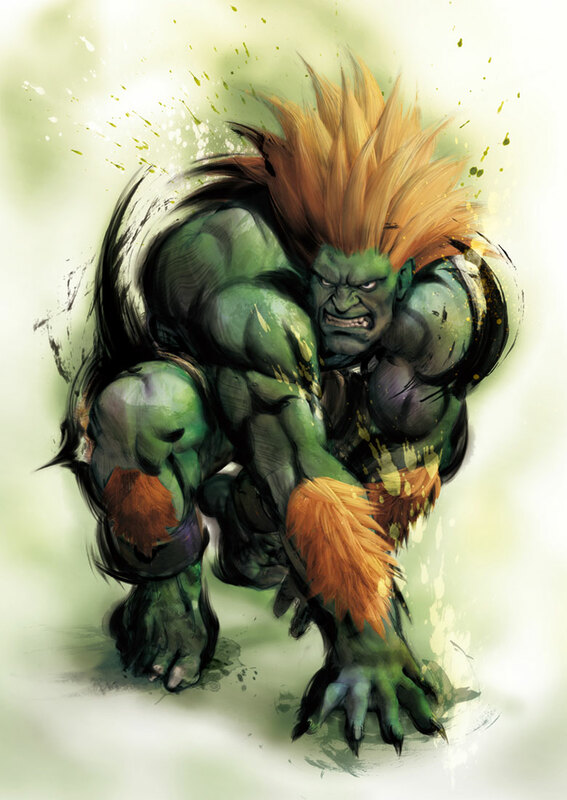 Fighting under the name Blanka, he uses his amazing abilities and skills gained in the wilderness to hold his own against some of the greatest warriors in the world. That’s it for this week! If you end up introducing Blanka into your game or you have any request for a future Monstrous Physique, please drop me a line at KnowDirection@hotmail.com.